On my first trip to the Peneda-Gerês National Park (PNPG) several years ago, the weather was too bad for the full day hike I had organised. Instead, I ended up doing an introductory driving tour of its rugged landscapes with some short sections of walking trails. As a taster, this experience was certainly enough to whet my appetite and I have since been back several times to explore the mountains and villages in different parts of the vast Peneda-Gerês area in more depth. 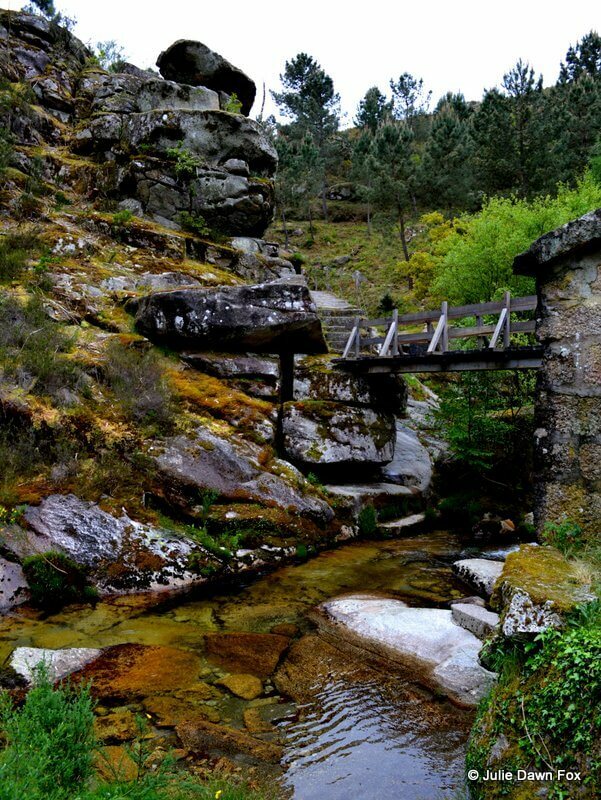 To help you discover its rugged beauty and rural traditions, I’ll show you some of the best villages, sights, short walks and views and give you the practical tips you need to plan your own adventure in the Peneda-Gerês National Park. Skip ahead to general practical tips about walking in PNPG. There are hundreds of hamlets and small villages scattered throughout the mountains and lowlands of the vast park area, each retaining many of their traditions and agricultural practices. Modern technology and improved infrastructure has removed the need for absolute self-sufficiency but many of these villages are still very isolated and often almost deserted, except for the old folk who continue to tend their vegetable plots and manage livestock. 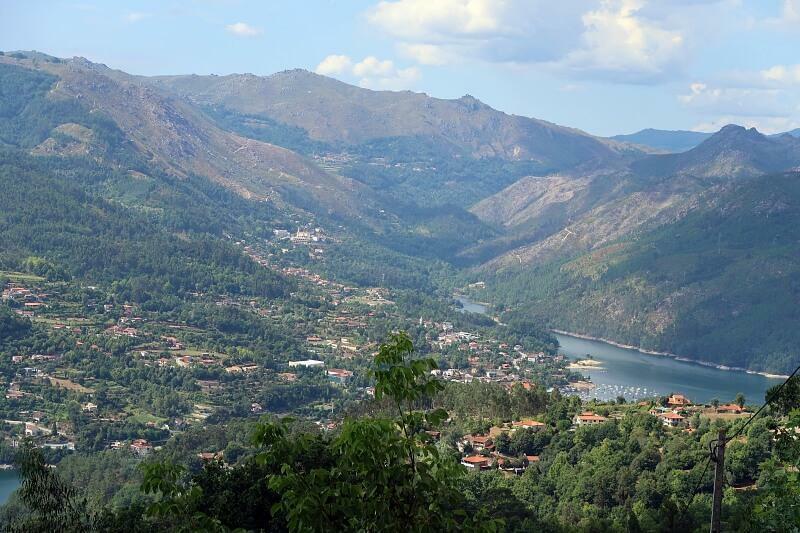 Here are the best of the villages in the Peneda-Gerês that I’ve visited so far. Soajo is the largest village within the national park and the only one that has any form of public transport. It’s a mixture of traditional granite cottages spreading out from the main square, Largo do Eiró and more modern houses on the fringes. It’s also close to one of the 5 Park Gates, namely Mezio (see below for more on Park Gates). The highlight, however, is the cluster of granite grain stores (espigueiros in Portuguese) perched on a smooth granite outcrop. If you visit Soajo, make sure to pop into Largo do Eiró to see the pillory. Unlike most Portuguese pillories, this one has an anthropomorphic design, which is essentially, a man with a loaf of bread on his head. I expect you’re curious as to what this represents. Back in the days when Soajo and other mountain villages were more isolated and had to be self-sufficient, locals were extremely wary of strangers who might pose a threat to their precarious existence. To avoid trouble, visitors were only allowed to stay in the village for the time it took for a freshly baked bread to cool down. There are various footpaths from Soajo connecting it with Lindoso, Peneda and surrounding villages. The main ones are the Caminhos do Pão e do Fé (Paths of Bread and Faith). Faith because it’s one of the pilgrimage routes to Senhora da Peneda Sancturay (see below) and other religious sites. Bread because it leads to the grain mills at the top of the village. Plural because the routes merge. The Caminhos de Pão e do Fé are well marked with yellow and red stripes and take you on a loop around and above the village via a small waterfall and the watermills. The stones between the mills and the village have deep grooves worn into them from years of ox-drawn carts transporting corn from the lower fields to the series of water-powered mills and making the return journey with sacks of flour. Tip: If you’re short on time or energy, just walk up to the watermills and retrace your steps to the village. If you’re staying in Soajo, the village with the most accommodation and eating options, try Saber ao Borralho restaurant for traditional Portuguese food. Make sure you stock up on provisions before leaving Soajo as there’s little else around. Lindoso used to be the capital of this area and still has the remains of a castle, which is free to enter so you can walk around the battlements and admire the mountainous surrounds. 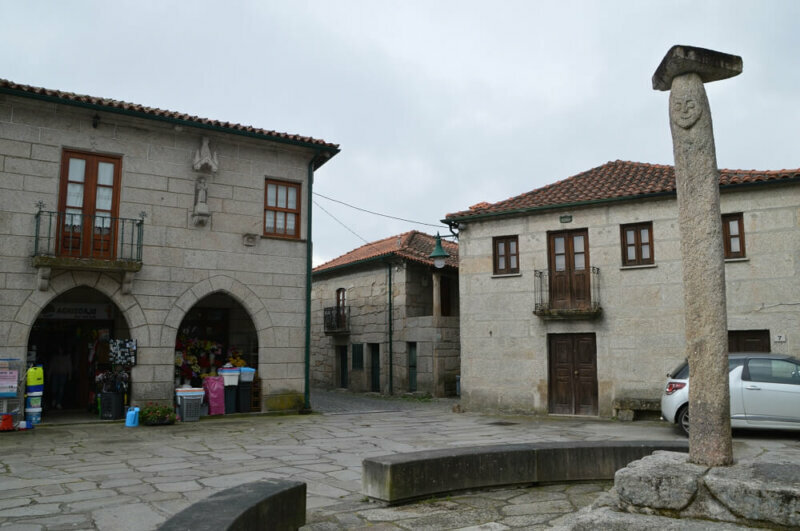 The village is more famous these days for having the largest collection of stone espigueiros around, some of which are still used by villagers. Most of its 54 espigueiros stand around the communal eira (threshing floor) just below Lindoso Castle. The round stones at the top of the legs of the grain stores are a cunning way of keeping mice out; mice can’t defy gravity! As well as these attractions, a good reason to stop in Lindoso is because it’s home to another of the Park Gates and is close to the Alto Lindoso dam and reservoir. Before leaving this area, be sure to stop briefly to peer over the Alto Lindoso Dam as it purges water into the River Lima in the beautiful gorge below. The Lindoso reservoir is fed by several rivers, including the Peneda and Laboreiro, and supplies the hydroelectric power station. It’s possible to go inside the dam for a tour (in Portuguese) if you reserve in advance. The Senhora da Peneda sanctuary is a hub for pilgrims from all around the region who follow well-worn stone-paved trails from the mountain villages and larger towns such as Monção and Arcos de Valdevez. The Peneda Hotel next to the sanctuary has transformed the former pilgrim quarters into comfortable accommodation although the onsite restaurant is no great shakes. 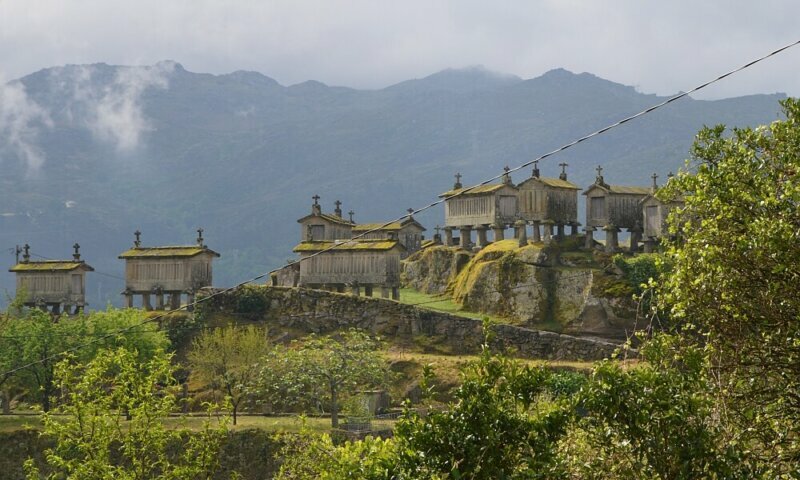 You can drive to Peneda Sanctuary or follow one of the ancient stone paths over the mountains. 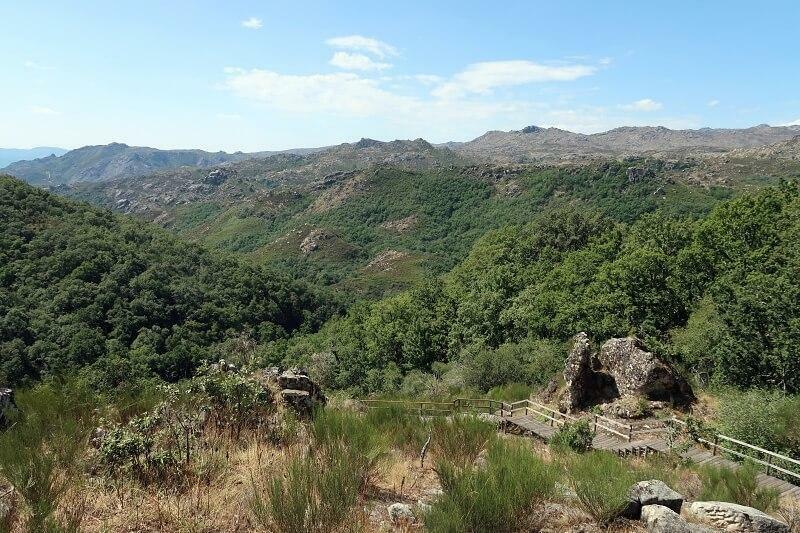 If you choose to walk over the mountains from, say, the village of Bouça dos Homens, you will be rewarded with spectacular views and, depending on which route you take, a beautiful small lake on the plateau. Be warned, the descent to the sanctuary can be toe-punishingly steep and a bit scary in places. There are easier walks nearby. As part of a village to village walking holiday in the Peneda-Gerês, I walked from Peneda to Lindoso via the absolutely stunning Mixtura das Águas. This is where the various rivers converge and feed into the Lindoso reservoir. Paulo and I walked through the Peneda Valley as far as the quaint village of Várzea and noticed several PR (short walking trail) signs at a crossroads in the village of Baleiral, although I’m not sure how easy they are to follow in practice. Parada was once a very important village in the area and you can still see the former jail and council buildings as you wander around the stone streets and buildings. It’s also the starting point for a couple of walking trails I’ve walked part of the Trilho dos Moinhos (Path of the mills) along rock-lined trails and over wooden bridges. I didn’t have time to complete the 6 km walk so stopped at Poço da Gola, one of the many lagoons in the park, and turned back. The shorter (4 km) Trilho do Penedo Encanto (Charming Boulder Path) takes you to some ancient rock art. This is another of the traditional villages I passed through on the self-guided walking holiday. Like so many others, it’s mostly inhabited by elderly people who eke an existence from their terraced plots and precious livestock. The GR (Grande Rota) passes through here, as well as one of the PR trails although I couldn’t tell you which one. Strictly speaking, the town of Montalegre isn’t within the boundaries of the National Park but it’s close and significant enough to be one of the park gates. Like many small towns near the Spanish border, it has a castle, although Mike and I were unable to visit it due to restoration works. As the most important town for miles around, it has transport connections, plenty of restaurants and banks, a few supermarkets and everything else you need for daily life. It also offers a range of accommodation. One of the things that Montalegre is famous for is its celebration of Friday the 13th. All we saw of this was a bar adorned with cow heads called 6ª 13 (Sexta-Feira means Friday) but if you watch the introductory video in the Ethnographic Museum (more on that in a minute), you’ll get a sense of how wacky things get in these parts whenever that date falls. 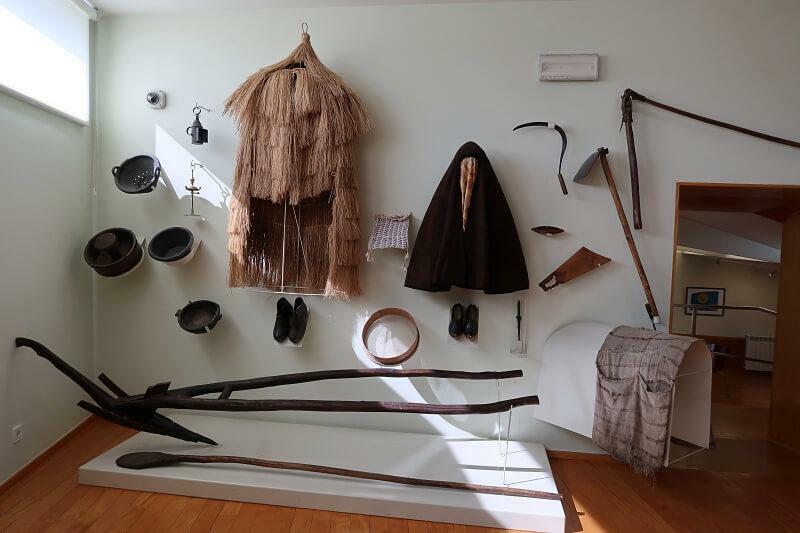 Mike and I almost passed on this museum – I’ve seen more than my fair share of traditional Portuguese costumes and farm machinery over the years – but we got talked into it by our host. We both came away more than impressed. Aside from the video I mentioned earlier, there are truly interactive displays that cover every imaginable aspect of life in this remote part of Northern Portugal. Traditional customs, dishes, ways of doing things, crops, tools and celebrations are all covered in a varied and interesting way. A very helpful English speaking man showed us around and explained how to use everything then left us to dig deeper on our own. The ruins of the 12th century monastery just outside the village of Pitões das Júnias near Montalegre was the main draw for me. Despite Google Maps getting us lost in increasingly narrow streets through the actual village, we eventually found our way past the cemetery to a parking space a few hundred metres from the monastery. We had free reign of the beautiful old building, although we couldn’t enter the church, and I thoroughly enjoyed wandering around the ruined buildings and imagining what it was like in its glory days. This proved to be a bit of a letdown in terms of waterfalls. I had asked around and been told that yes, it was possible, if you’re very careful, to get to the base of the waterfall. It was a hot day in September and I had notions of at least soaking my feet in the cool water. We made the mistake of leaving the car where it was instead of driving the 500 metres or so down a cobbled road to a different car park. After a short section on a stone path, we then discovered a wooden staircase, some of which badly needs repairs. Watching carefully where we placed each step, we duly climbed down… and down… and down until we finally reached a viewing platform. From here, we could see a ribbon of white cascading down the cliff opposite but frankly, it wasn’t worth having to climb back up those steps, even if the views were lovely. We did try to continue downhill beyond the wooden stairs but quickly realised that it was too steep and unsafe for the likes of us. Again, not strictly within the park boundary, the village of Sistelo is nevertheless worth a visit if you’re in the Arcos de Valdevez area. Not only is there an ecovia trail that runs between Arcos and Sistelo, there are other short walking trails leading off from the village, and the Grande Rota, which will give you amazing views of the attractive terraced slopes that surround this traditional village. High up in the Serra Amarela is a typical mountain village called Ermida. The drive alone is worth doing for amazing views although there is a walking trail that leads up to and beyond the village. Ermida itself is a hotchpotch of traditional stone barns, modern houses and patch jobs made of any available material, some attractive, some downright ugly. See this post for more details. The curly-horned copper coloured cows are commonplace in these parts and although they might look a bit scary, they are quite docile. Allowed to graze freely around their villages, they plod their way contentedly back to their barns in the villages every evening. The practice of transhumance, which had villagers relocating to higher altitudes for the summer in order to grow crops and give their livestock better grazing, is now limited to the animals. 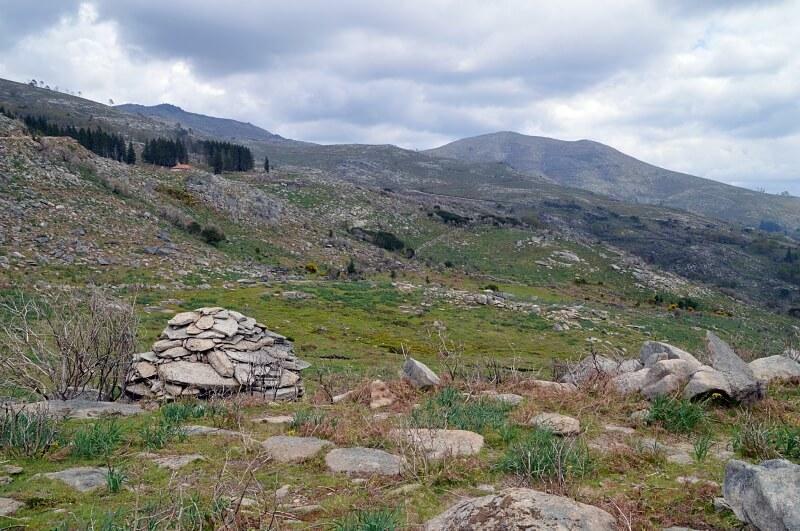 The summer settlements, known as brandas, are largely given over to holiday cottages but if you venture into the higher parts of the mountains, you will see rudimentary shelters made from stones. Now obsolete, wolf traps used to play an important part in protecting precious livestock from these predators. There are two main kinds of trap, those that force a wolf between walls that form a funnel and end in a pit and another that used live bait to entice the wolf into the trap. Iberian wolves are now a protected species and although they live in the National Park, you are unlikely to see one – they’ve learned to be very wary of humans! This ancient breed of horse dates back to prehistoric times but since motorised vehicles and machinery have made agriculture and rural life easier, they are no longer bred and are in danger of extinction. You may see some if you go walking in the wilderness. When you live out in the sticks, you need to improvise at times. Although there are many trails of varying lengths within the park, they are not always well-maintained or marked. This includes the revived Grande Rota (GR), which uses the red and white stripes, rather than the yellow and red of the shorter trails (PRs). In some places, the marks have been freshly painted while in others, they are so faint you can hardly see them or have disappeared altogether. Maintaining such a vast park is a massive job and the weather takes its toll. Note: Mobile phone coverage is patchy in the mountains so you can’t always rely on getting data for Google Maps, or being able to call for help! It’s possible to do most of the shorter walks near villages without a guide but I would still try to get your hands on a trail map or GPS route in case the markers let you down. Some of the ancient shepherds’ routes are marked with piles of stones known as mariolas (cairns) so it sometimes helps to look out for these but beware that tourists have taken to creating their own piles of rocks which not only spoils the natural landscape, it can be misleading. Some of the trails have been put onto hand-held devices (PDAs) which you can hire from Park Gates (see below). For these PDA and GPS routes, it’s also possible to download a PDF of the route which is better quality than the maps on the leaflets. Click on a specific trail then look for the link that says ‘Letter from the Route’. Adventure Maps have produced a detailed waterproof map of the key points of interest and walking trails within the PNPG. You can buy this and maps of specific walking trails from Park Gates and/or check on their current status if you’ve already downloaded a PDF version. 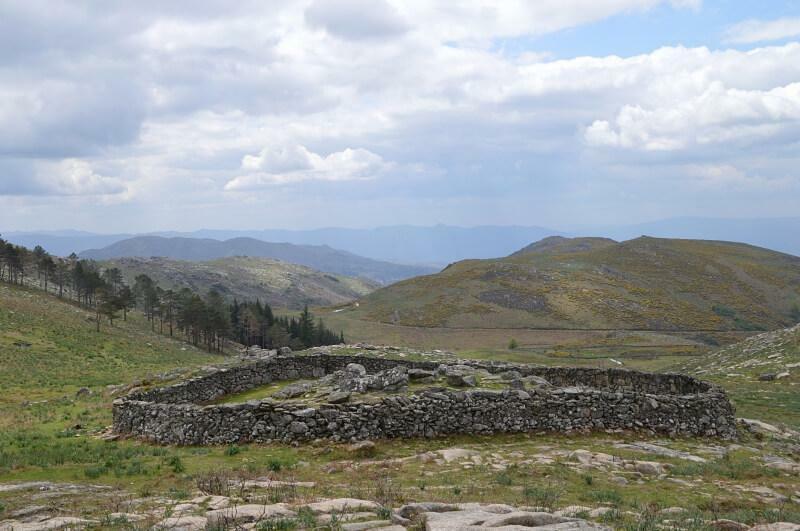 Walking with someone who knows the terrain and the history and traditions of the Peneda-Gerês has several benefits. Not only do you get the peace of mind of knowing you won’t get lost in the mountains and eaten by wolves (I’m joking but there are still some around), you also learn more about the traditions and culture of these remote villages. If you all you have is a leaflet, you’ll get some information but frankly, the English translation will leave you confused in many cases. A guide would also be able to tailor routes specifically for your group. If you arrange your walk in advance with a tour company, they can organise picnics and even traditional music or workshops en route. They can also sort out your accommodation if you want. Get in touch if you’d like me to connect you with a specialist local tour operator to arrange a guided walk in the Peneda-Gerês. Peneda-Gerês National Park forms a wobbly M shape around Portugal’s border with Spain. Because of its size, there are several entrance points, most of which have a Park Gate where you can pick up useful information and maps. 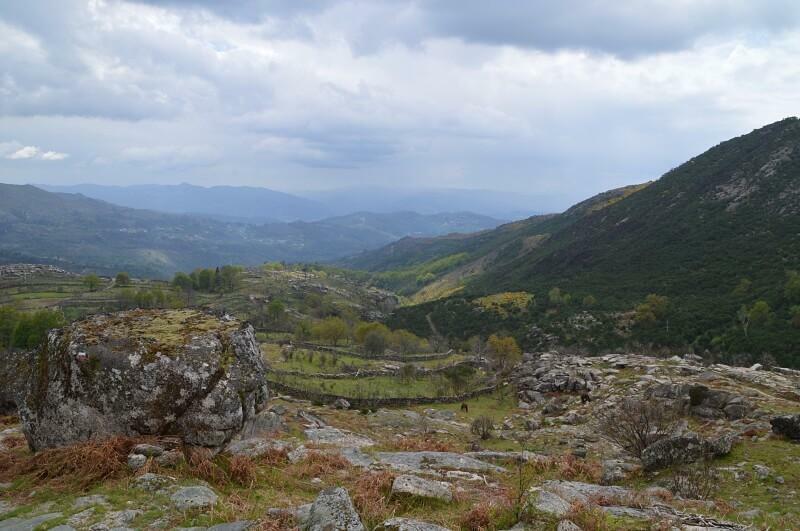 These are: Lamas de Mouro near Castro Laboreiro; Mezio near Soajo; Lindoso; Campo de Gerês and Montalegre. 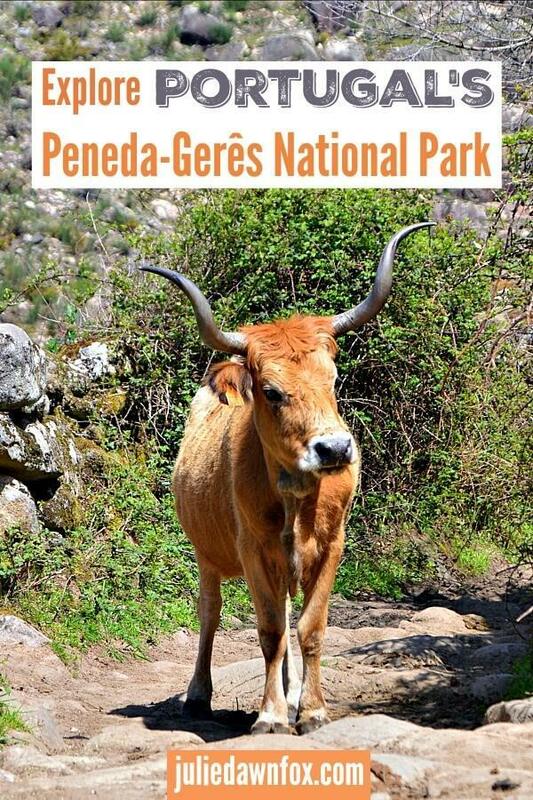 Each gate has a different theme, with information about the traditions, wildlife, geography and other aspects of Peneda-Gerês. Some park centres sell locally made handicrafts and all have toilet facilities. You don’t have to miss out on the natural beauty of the park just because you’re not into walking. If you’re not fazed by narrow, winding and in some places quite uneven roads, you could do a self-guided driving tour of Peneda-Gerês. Whatever you do, make sure you have a full tank of fuel well before entering the park because there aren’t any petrol stations within its boundaries. If the thought of driving puts you off, or you have limited time to see the highlights of Peneda-Gerês, there are 1-day tours you can take from Porto, Braga and other towns in the Minho region. These one day tours tend to visit parts of the park that I have only seen from a distance or read about but everything points to them being a great day trip. This full day small group tour includes hotel pick up and 2-4 easy walks, some along ancient Roman roads through a beautiful forest. An alternative small group tour also includes a short hike in the forest as well as another to the Tahiti waterfall where you can go for a dip if the weather permits. Peneda-Gerês is huge and beautiful and needs as much time as you can spare to fully appreciate it. You can camp, stay in traditional stone cottages in some of the villages, or choose one of the more modern hotels dotted around the park. Check out accommodation options in Peneda-Gerês National Park or see specific suggestions for the villages above. If you’d prefer to be based in a nearby town, consider Ponte de Lima, Arcos de Valdevez, Ponta da Barca, Melgaço or Montalegre. 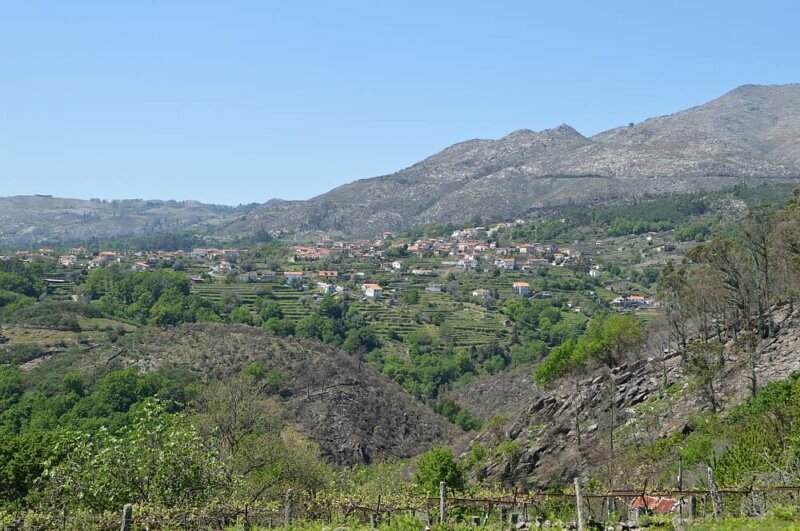 Unfortunately, there is very little in the way of public transport to Peneda-Gerês so you’ll either need your own transport or the services of a tour company to get beyond Soajo. Previous Post: What Happens At Christmas And New Year In Portugal? I’ve read your article about Peneda-Gêres in Portugal and I really like it. I am planning a citytrip to Porto in april and planning to spend one day in the Peneda-Gêres. I really would love to see some waterfalls (Pincaes, Tahiti, Arado), Ponte De Miserala, Pedra Bela and perhaps Castelo de Castro Laboreiro. Is it possible to visit these places in one day with a car combined with a little hike (found one that combines Arado waterfalls with Pedra Bela)? Are there any other beautiful, not-to-miss-places? I’ve been looking for routes to get to near this places with a car, but can’t really find if there are any parking possibilities in the environment of these places. Do you know something about the possibility to visit these places in one day? Thanks for all the info Julie, We are staying on the South border on the Penada Genres Park on a reservoir for a week in August 2016 with a 2 and 5 year old. Were would you recommend for us not to miss in the area as a family? We will b following this by a week on the coast just south of Porto on he beach of madelana. Thanks, Catherine T.
Temperatures should still be warm during the day and not too cold at night but it’s impossible to say at this stage what the chance of rain will be. At that time of year, you could be faced with bright sunny days or torrential rain or anything in between so come prepared for various eventualities and always take advice from the park headquarters or a local before venturing into the wilderness on hikes. Hi there, sounds really great. Is it also possible to do more-days walk in the park? (I mean not being based in one place, but cross the park from one side to another camping along). Thank you, I will try and report back if we ever get there! Great article and photos. Thinking of staying in Caldas do Geres for a few days at the end of June can you say of there is much local walking as we will have to use public transport from Porto and are just looking for day walks. Hi Sue, I’d start by looking at this website: http://adere-pg.pt/trilhos/uk/percursos3.php to find out about trails and park headquarters. Public transport is scarce so you might find yourselves quite limited as to which walks you can do. I think Soajo has the best connections but I’m not sure about that. I’d also ask at your accommodation – they may have info about self-guided walks or be able to put you in touch with a local guide. Super and informative.Is it possible to do all this in earlyJanuary? Try http://www.aktivanatura.com/en/adventure-programs/. I met the owner, Luís, I think his name is, and he seems really nice (and professional). I haven’t been on any of his activities though. You could also ask Paulo from Portugal Green Walks (link in the post). If he doesn’t offer it directly, he’ll know someone who does! I’ve clicked on the Green Walks link, but it all seems to be about pilgrimages. Where do I find information about horse-back riding in the National Park? Thanks! Alternatively, Quinta do Fijó in Arcos de Valdevez do treks into the Gerês http://quintadofijo.eu/ Carlos is the man to contact there. Either way, if you remember to tell them that you heard about them from me, that would be great! Just read your article and sad to see your comment about being “eaten by wolves”. Surely its about time this myth was knocked on the head and not continued although I presume it was tongue in cheek and not meant seriously. Some people, however, need no encouragement to malign these wonderful creatures. I have by the way seen wolves in the wild on a number of occasions in Spain. Please clarify your comment for the ignorant who read it! I never expected anyone to take it seriously, Loraine! 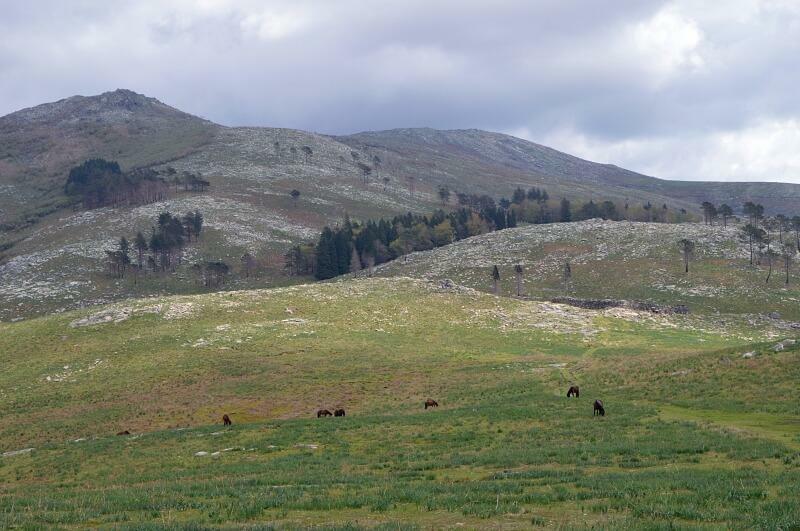 Exploring Peneda Gerês National Park by horse sounds like a great idea. What a trip! You should definitely do this next time you visit Portugal, Nancy. You’d love it. I know what you mean about the time spent organising. I did this trip back in April but have been working non stop since then. Got loads more posts to write up, too! Looking forward to hearing all about your recent adventures. Those Espigueiros are called Horreos across the border in Galicia. Walking with a guide is a good idea – you will not get lost and you get to see a lot more. Hopefully they also know what to do in case you run into a touro bravo with long horns. Ha ha! Most of the long-horned cattle we met were cows but I wouldn’t want to make one angry with those twisty long horns! The local farmers let the cows roam free during the day and they all make their own way home when it’s time for bed. Amazing! Beautiful! We just came back a couple weeks ago from visiting LIsbon, Sintra, Evora & Carraterpeira. You make me want to go back and visit the national park! Let me know if you fancy being interviewed about your recent trip… I’ve never been to Carraterpeira so I’d love to know more about it. Marvellous photos, Julie! One of the very best corners of Portugal, although in my experience it always rains in Lindoso! It looks as though signposting has improved since we were last there – the “Sunflower” Guide for this area tends to abandon you halfway through a walk. 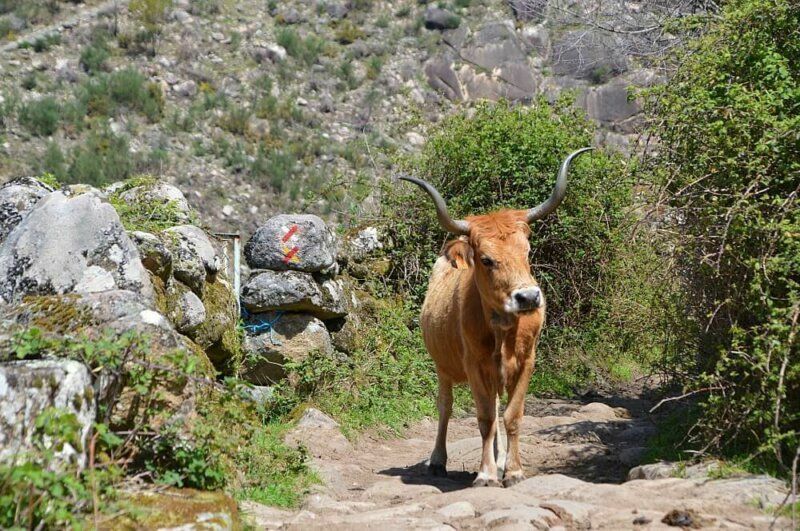 The other great thing about this area is the food – try the “Arroz de Sarrabulho” – not for the faint-hearted, but just the thing after one of these walks. Oh, and the local squeezebox and cavaquinho playing. Thanks, Robert – praise indeed, coming from you 😉 I think there’s been a great deal of improvement with walking trails and markers, although they still have a tendency to disappear on you just when you need them most. I think the short walks around the major villages are probably fine but I’d want to have either a PDA or a real guide for anything longer, I think. I haven’t been brave enough to try the Sarrabulho rice yet but given the amount of morcela (black pudding in case anyone’s wondering) I’ve been eating lately, I suppose there’s no excuse for not giving it a go at some point. Am I right in thinking it’s a kind of blood rice?